MTV announced the 2013 Video Music Awards nominations via their Instagram and Vine video accounts – making the VMAs the first awards show to announce nominations via these social media video platforms. Justin Timberlake’s “Mirrors,” Macklemore & Ryan Lewis’ “Thrift Shop,” Bruno Mars’ “Locked Out of Heaven,” Robin Thicke’s “Blurred Lines” featuring T.I. and Pharrell, and Taylor Swift’s “I Knew You Were Trouble,” are set for an epic battle to take home Video of the Year. 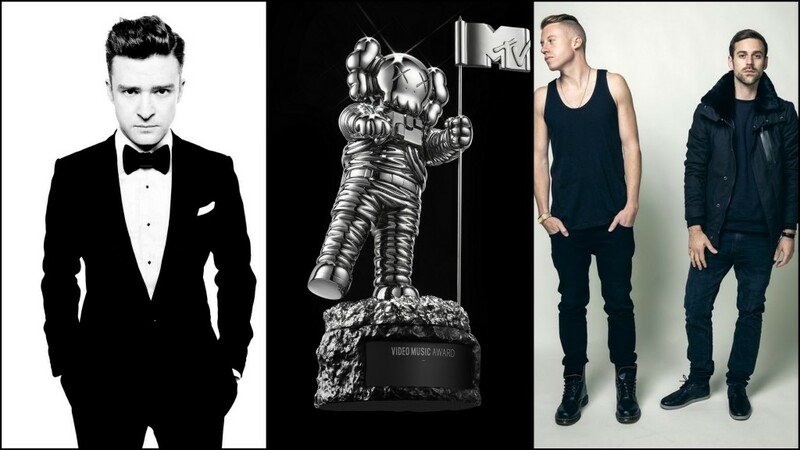 Justin Timberlake and Macklemore & Ryan Lewis lead this year’s VMA pack with six overall nominations each. Beginning today, fans can vote in general VMA categories, including “Video of the Year,” “Artist to Watch,” and more by visiting vma.mtv.com or by texting VOTE to 22444 (standard message and data rates apply.) In addition, “Artist to Watch” is available for voting via MTV’s official Facebook page. Voting for all VMA categories, except “Artist To Watch,” will end on August 12th at 6.00 p.m. ET. Voting for “Artist to Watch” continues through the show and will be announced LIVE on August 25th. A full list of categories and nominations are below. Nominees for an additional new socially voted category, “Best Song of the Summer” will be announced on August 12th.